We are a leading Manufacturer of cocobag-cocopeat flat grow coco bag, higro single planter bag cocopeat perlite mix and higro single planter bag cocopeat prefilled from Mumbai, India. These are flat Grow Bags consisting of a mixture of coir pith with the appropriate amount of short coir fiber. The UV stabilized black and white polythene bag consist of compressed Coco Peat slab. They are very convenient to grow crops like tomatoes, strawberries, and cucumbers. Aditional discounts are available for bulk pricing. 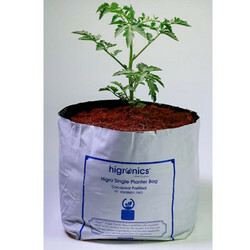 Higro Single Planter Bag Cocopeat Perlite Mix contains a mixture of cocopeat and perlite block that needs to be hydrated for sowing the seed. It is used in the soil-less commercial farming of tomatoes and cucumber. Perlite is used as a comp soillessgrowing mixes where it provides aeration and optimum moisture retention for superior plant growth. 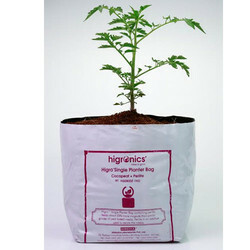 Higro Single Planter Bag Cocopeat Prefilled is a pre-filled cocopeat block which is hydrated for sowing the seed. It can also be used in the commercial farming of tomatoes and cucumber. Aditional discounts are available for bulk requirements. 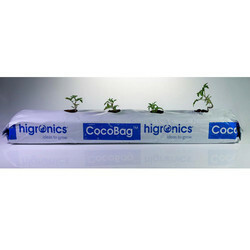 Looking for Cocopeat Grow Bags ?